There are few bands as instantly recognisable as Týr, their sound is a perfect blend of heavy metal and folk vocal melodies which beautifully encapsulate the mythology of the Faroese and Icelandic skáld. 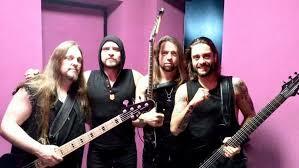 Yet for Týr, it has been quite awhile since the band last graced us with an album. That last album was ‘Valkyrja’ and still stands as strong now as it did in 2013; this album was well received by both fans a critics alike and it was going to take another strong release by Týr to even equal ‘Valkyrja’. 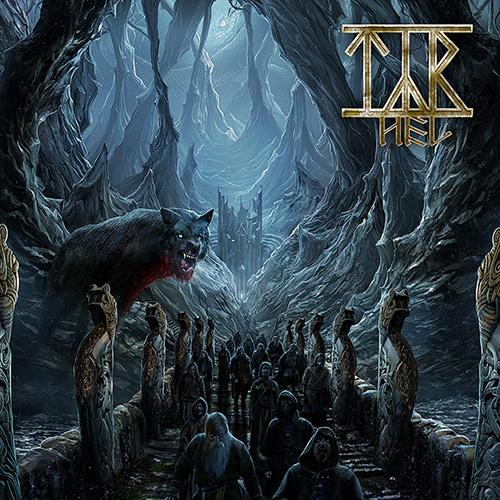 Thankfully, this year see’s the return of Týr with their latest album ‘Hel’. ‘Hel’ thrusts forward with a rhythmic beating heart of a war drum and although for Týr, the opening track ‘Gates Of Hel’ throws a feint with the use of growls at the start, it doesn’t take too long for the typical Týr sound to return in this song and indeed the remainder of the album. It is this sound which makes the Faroese marauders so appealing as their music raises and falls like a poet’s inflections. There are no better examples of this than ‘Gates Of Hel’, a song which is made all the more endearing by it’s incorporation of the Scottish traditional song ‘The Bonnie Banks o’ Loch Lomand’, the powerful ‘Empire Of The North’ or the heavy metal barrage of ‘Sunset Shore’ which debatably borrows quite heavily from the riff to Megadeth’s ‘Countdown to Extinction’. However, unlike ‘Valkyrja’, which manages to stand tall at just over 45 minutes, ‘Hel’ weighs in at a lofty 70 minutes and because of this, ‘Hel’ finds it hard at the latter end of the album to hold the listener’s attention with many songs sounding very similar. For those expecting an album similar to or on par with ‘Valkyrja’ will be disappointed, yes it sounds like this album, but ‘Hel’ unfortunately falls below its predecessor. However, that does not make ‘Hel’ any less enjoyable and taken on its own, ‘Hel’ is a very good Týr album that is true to the band’s roots and therefore a lot of fun!